German police issue Walther P5 leather thumb-snap duty holster. This is a really nice, stout, holster that works with up to a 2" belt. 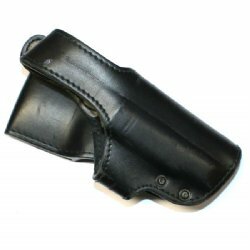 Great for concealed carry or general use. Made from high quality German leather, surplus G-VG condition in perfect working order. 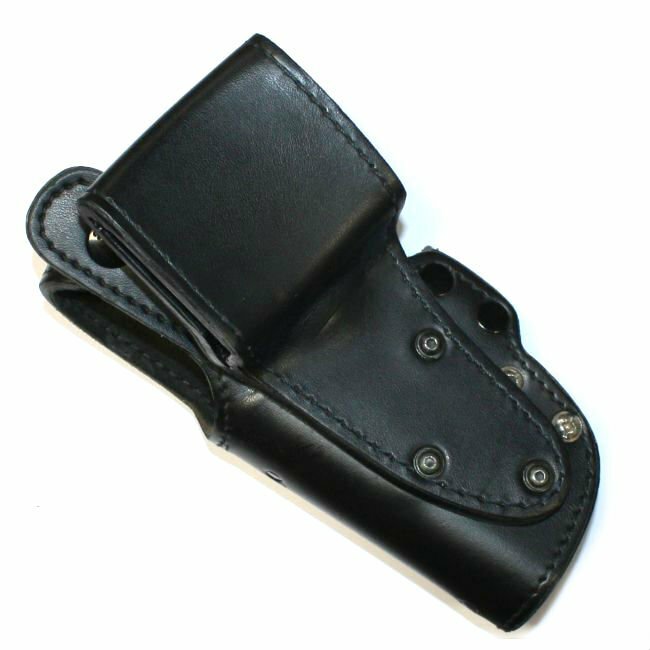 A great quality holster at a great price. Made specifically for the Walther P5 but will fit many other weapons with similar slide and trigger guard dimensions.